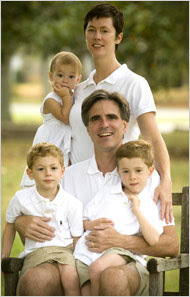 Randy Pausch, the Carnegie Mellon professor famously known for his "Last Lecture" speech and book encouraging others to live their childhood dreams, passed away today of pancreatic cancer at the age of 47. Of course, I didn't know he or his family personally, but followed his story since I first became aware of him last fall and was happy to see he was still doing well when I last "checked in" in on him in April. He was even well enough to deliver a charge to the 2008 Carnegie Mellon graduates in May. His story was an inspiration to so many, though his only true intent was to leave his messages to his three young children who would grow up without his guidance. I was truly saddened to hear of his passing and I extend my deepest condolenses to his wife, children, and parents. So pick up your wife and kiss her in front of a crowd, pour a can of coke all over your car seats, and let your children color on the bedroom walls... do it to honor your life and the life of Randy Pausch.